The Gel traction battery for cyclic use. 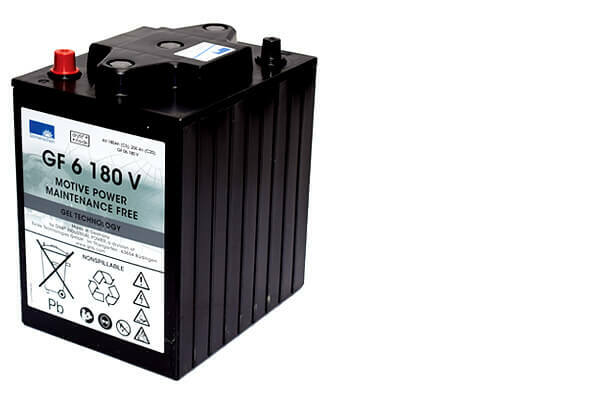 The reputable German brand Sonnenschein has become a true benchmark in the Gel battery world. These are extremely safe batteries thanks to the superior DryFit technology. The Gel solution indeed ensures that acid can never be released. The maintenance-free concept also results in ease of use and lower general costs. The Sonnenschein Traction Gel can be used for many cyclic applications, while also being a highly reliable solution for environments with an emergency power supply demanding great discharge. Interested in Sonnenschein Traction Gel?